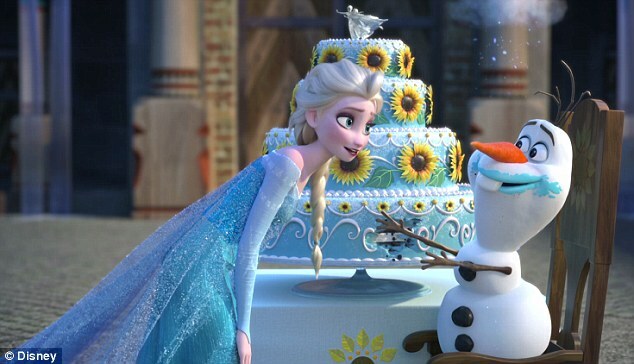 It’s been over a year since the mega-successful Disney animation Frozen was released. ‘Frozen Fever takes place just a few months since we last saw the gang, it’s actually Anna’s birthday but Elsa is complicating things,’ explained directors Chris and Jennifer. Not only are the film’s directors reprising their roles, but also Idina Menzel (Elsa), Kristen Bell (Anna), Jonathan Groff (Kristoff) and Josh Gad (Olaf) are all back to voice their characters. Walt Disney Animation made the smart choice to release Frozen Fever as a prelude of the company’s live-action Cinderella. The mini Frozen sequel will be screened just before the retelling of the classic fairy tale and is believed to have been a strategic play by the studio to draw in Frozen’s die-hard fans to the box offices.